January 4, 7pm, Coffeehouse – Shake off the winter blues, sit back, relax and enjoy the music at our community coffeehouse. 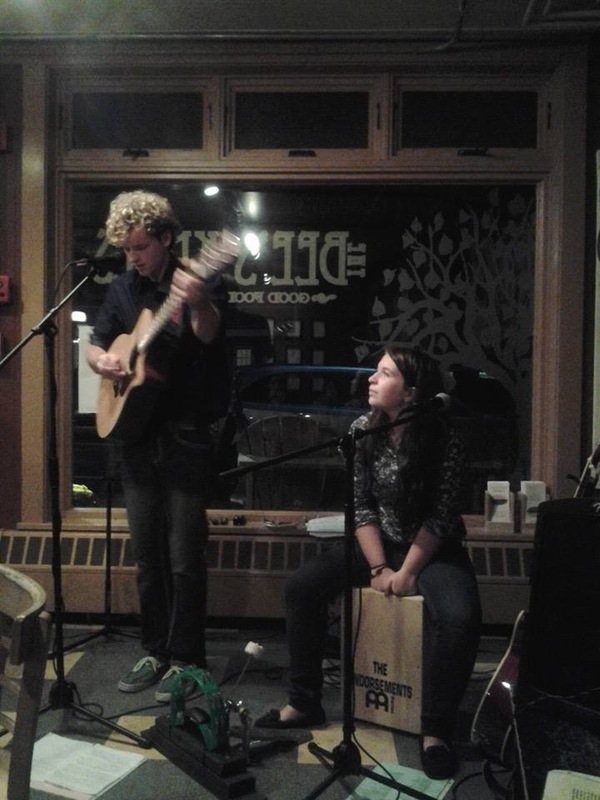 The Endorsements, a folk rock duo from Barnet, Vermont will kickoff the evening at 7pm. The combination of acoustic guitars, box drums, harmonicas and tambourines make for interesting covers of artists such as Bob Dylan, Johnny Cash, and Radiohead, along with their own original music. The Endorsements are a fun show for everyone! An open mike for those who wish to share their music will be available at 8pm. Coffee, tea, cider and snacks will be provided. There is a suggested donation of $5 per person to support library programs. January 6, 7pm — Library Board Meeting — Meetings are open to the public. January 10, 9am, Preschool Story Time — stories and crafts for the young and their caregivers. January 10, 10am-noon, Coffee Hour – join us for a cup of coffee or tea, a sweet or two and good conversation. Suitable for all ages! 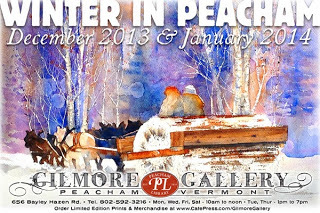 January 12, Artist Reception — Winter in Peacham, a group art show currently on display in the Gilmore Gallery. Nine artists share their art and view of Peacham during winter.